For those who answered the call. Time and again Americans have answered their country's call. Leaving loved ones and traveling the world where their hard work and sacrifice bring freedom to other nations and maintain our freedoms here at home. 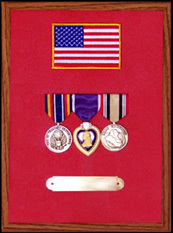 America's veterans cannot be thanked enough and too often their achievements are forgotten. The United States of America would not exist but for their service. 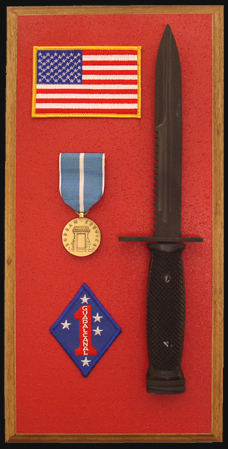 The Guns of Liberty Honor Plaques are a small reminder of the service America's veterans have given and the honor they so deserve. 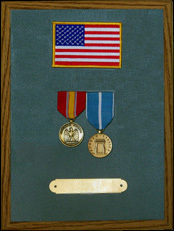 Brass plate engraved with the service member's name, rank, and service. 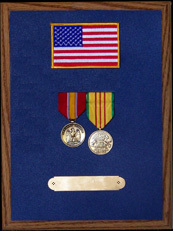 The Guns of Liberty Honor Plaques measure 12"x9" and can be configured with up to four medals. 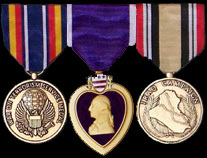 Give us a call for a quote on adding other medals. 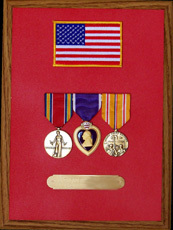 Each plaque is made to order please allow seven to fourteen days for shipment. 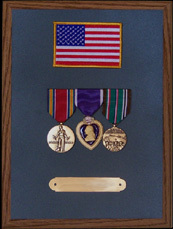 We can customize any plaque to your specifications.